I have super problematic, very acneic combo skin with eczema that reacts poorly to literally everything. Trying out this kit helped me find products that make me feel more confident in the tone and texture of my skin and help minimize break outs without making my eczema flare up. I've been using for about 2 weeks now and have started to see an improvement in my skin with fewer breakouts and red spots. These products are nothing short of amazing. 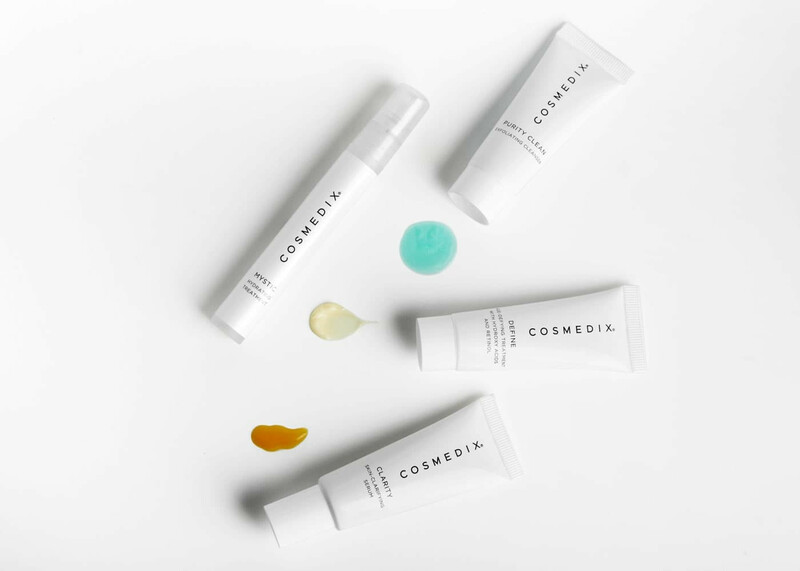 Though they are travel sized samples of the products, if used carefully, you can really make them last. I loved most everything I’ve tried so far and am going back to order the full sizes now! This is a great way to get an idea of the products you really want to spend your money on first. The size of the products is perfect to take time to start seeing the changes in your skin that you’re looking for. In this particular kit, I have enjoyed Define and Clarity the most... but these are products I needed for the skin problems I have been having. Define has become my holy grail as far as retinol goes. I was recommended this starter kit from a lady that did my facial. But since I started using it I've been breaking out so much. I don't know if its from the kit or the chemicals, I've been using for about a month. This product is fantastic! Feels great and smells so good! All i can say is 5 stars ! My skin breaks out easy. While using this product, it was gentle enough for my skin and made it look healthier. I loved this product! Saw quick results. I love this collection...it really helped my very oily skin - and I've tried everything. The only complaint I have (which is minor) is the face wash, it doesn't lather well unless you use a lot of the product. I love the clarity, define and mystic. I'm still using this to see if it will clear my acne - but that may take some more time. I also love that since I'm almost 40 the products have retinol. Makes skincare routine very easy and fast. I would definitely buy again and suggest anyone who suffers oily/acne skin to give this a try. I bought this for my daughter who was struggling with breakouts since starting college. She loves it! Her skin has cleared up and looks clean, smooth and healthy. She especially likes that Cosmedix is animal cruelty free. Found my flawless skin favorite! This kit is my favorite of all the starter kits! The biggest factor is the Clarity product. I could truly see a significant improvement in my skin tone and tightness after the first application. I had no idea this product would work so well for my skin. And a good friend noticed and commented on how “good your skin looks today”. 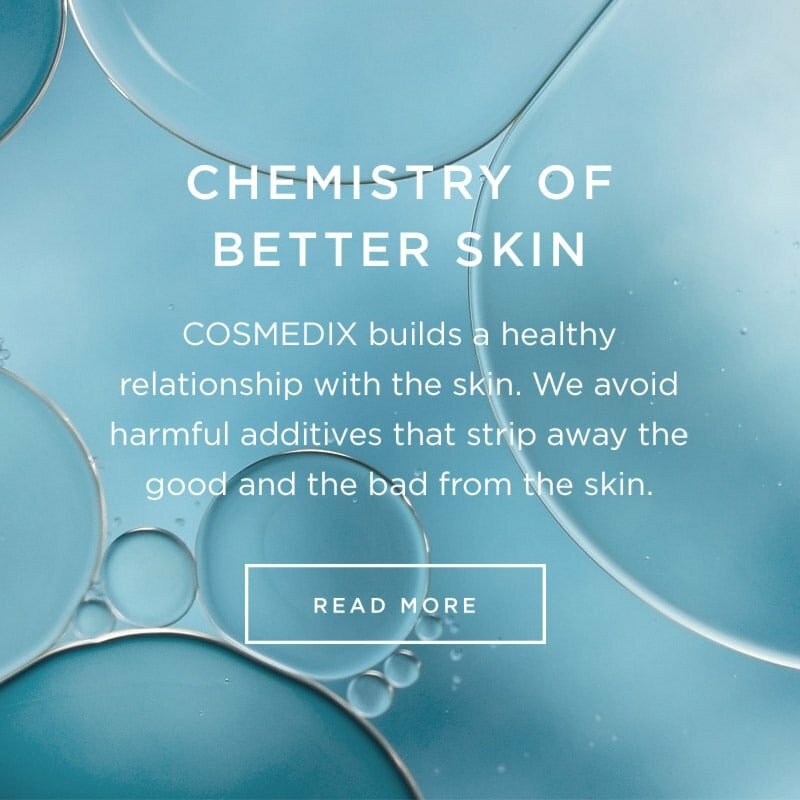 I love all the Cosmedix products I’ve tried so far, but think I’ve found a favorite!! My face is very sensitive and usually after I wash my face my skin starts to burn and becomes irritated and I have spent a lot of money on different products to find the right one. This has been the best product I have ever tried - my face no longer feels irritated and I’m finally feeling comfortable in my own skin again. I highly recommend it! I know it’s pricey but you get what you pay for. The best products for my face. I saw the results from the first time, my skin looked so clean, like if i had done a facial. Great travel size to sample the products before buying the full sizes. I recommend this product! I've spent far too much money on products that made extraordinary claims only to have the actual results fall way short. So I decided trying this sampler kit was an excellent way to reduce my expenditure while trying 4 different products. I couldn't be happier with the results. Within days my skin feels revitalized following a bout of strong antibiotics that had definitely taken a toll. It is softer, more supple and looks radiant. I couldn't be more pleased. Awesome products! I will definitely be purchasing again and again. These products have been transformative to my skin. I LOVED the combination skin starter kit. At first my skin was sensitive to using new products, but it got used to it very fast. The cleanser smells so good and makes my face feel so clean. The serums are also wonderful! The hydrating treatment also makes my skin feel so refreshed. Definitely recommend! Love this product, makes my skin feel wonderful. Never have used such an extraordinary product!